LAOS: Somphone Disappearance --- Test for Laos as World Watches - ການຫາຍໄປຂອງທ່ານສົມພອນ ສ້າງຄວາມຫວາດຣະແວງ !! LAOS: Somphone Disappearance --- Test for Laos as World Watches !! The inaction of the Laotian Government with regard to the enforced disappearance of Mr. Sombath Somphone on December 15th is worrying. 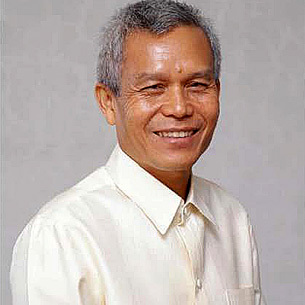 The Asian Human Rights Commission joins the request made by civil society groups and the diplomatic groups inside Laos, and echoed by numerous international groups and institutions, including the European Union and the United Nations, for immediate investigation in order to safeguard Mr. Sombath, whose whereabouts still remain unknown. Mr. Sombath, 60, is a veteran community activist who, in 1996, founded Participatory Development Training Center (PADETC), a nongovernmental organization, where he has continued work, even after stepping down from the position of executive director earlier this year. A recipient of the Ramon Magsaysay Award for Community Leadership in 2005, Mr. Sombath has been recognized for his pursuit of small-scale people-centered socio-economic upliftment, using a variety of avenues, more recently in the areas of youth training and handicraft, for the people of Laos. There is speculation that Mr. Sombath has been targeted by a jittery Laotian government, concerned about his role in the Asia People’s Forum 9 (AEPF9) held in Vientiane recently, in the sidelines to the ministerial-level Asia Europe Summit. For the international community, this perceived attack against nongovernmental organizations follows the expelling of Anne-Sophie Gindroz, head of major Swiss-Aid agency from Laos, and has deepened a climate of fear. Mr. Sombath, eldest son of a poor farmer, became a refugee in Thailand as a young boy, escaping the violence in Indo-China during a time when American aggression made Laos the most cluster bombed-place on the planet. Scholarship and USAID assistance saw Mr. Sombath complete his education in the United States, and following the establishment of the Lao People’s Democratic Republic, return home in 1979 to begin work on sustainable agriculture and rural development. The Asian Human Rights Commission joins voices that have raised concern for the safety and well-being of Mr. Sombath, a man recognized for having dedicated his life for the welfare of fellow Laotians. AHRC requests the government to allay the suspicions of the international community by conducting a swift and impartial investigation into the disappearance of Mr. Sombath, so he may return to his family safely. ຄວາມຢ້ານກົວ ໃນລາວ ເກີດມີຂື້ນ ຫລັງຈາກ ຜູ້ທີ່ ປະຕິບັດ ວຽກງານ ຊ່ອຍສັງຄົມ ດ້ານພັທນາ ທີ່ມີຊື່ສຽງ ຫາຍສາບສູນ ໄປ. ການຫາຍສາບສູນ ຂອງ ທ່ານສົມບັດ ສົມພອນ ຜູ້ໄດ້ຮັບ ລາງວັນ ແມັກໄຊໄຊ ນັ້ນໄດ້ສ້າງ ຄວາມຢ້ານກົວ ໃນກຸ່ມ ປະຊາສັງຄົມ ແລະ ອົງການ ທີ່ບໍ່ຂື້ນກັບ ຣັຖບານ ໃນລາວ ບ່ອນທີ່ ບໍ່ຄ້ຳປະກັນ ຄວາມປອດພັຍ ຂອງນັກພັທນາ ເພື່ອປົກປ້ອງ ສິ່ງແວດລ້່ອມ ແລະ ສິດທິມະນຸດ. ຜູ້ທີ່ເຮັດວຽກ ຊ່ອຍສັງຄົມ ຫລາຍຄົນ ຈາກອົງການ ທີ່ບໍ່ຂື້ນກັບ ຣັຖບານ ຫລາຍອົງການ ໃນລາວ ໂດຍສະເພາະ ຜູ້ທີ່ມິີສ່ວນພົວພັນ ຢ່າງໃກ້ຊິດ ກັບ ທ່ານ ສົມບັດ ສົມພອນ ໄດ້ພາກັນ ໂຕນໜີ ໄປລີ້ຢູ່ ປະເທດໄທ ໃນອາທິດ ທີ່ຜ່ານມາ ຫລັງຈາກ ການຫາຍສາບສູນ ຂອງ ທ່ານ ສົມບັດ ສົມພອນ ເພາະຢ້ານວ່າ ຜູ້ຕໍ່ໄປ ອາດແມ່ນຕົນເອງ. ຜູ້ເຮັດວຽກ ຊ່ອຍສັງຄົມ ທີ່ບໍ່ປະສົງ ອອກຊື່ ທ່ານນື່ງເວົ້າວ່າ ຕາບໃດ ທີ່ຍັງບໍ່ມີການ ແກ້ໄຂບັນຫາ ດັ່ງກ່າວ ທາງທີ່ດີກໍຕ້ອງ ຫລົບຫນີ ເພື່ອຄວາມປອດພັຍ ເສັຽກ່ອນ ຢ່າງນ້ອຍ ເພື່ອລໍຖ້າເບີ່ງ ສະພາບການ ວ່າຈະມີຫຍັງ ເກີດຂື້ນ ໃນຂັ້ນຕໍ່ໄປ. ທ່ານກ່າວ ທາງໂທຣະສັບ ຈາກບ່ອນທີ່ ທ່ານຫລົບລີ້ຢູ່ ວ່າພວກເພີ່ນ ຫລາຍຄົນ ໄດ້ຄາດການ ໃວ້ລ່ວງຫນ້າ ຢູ່ແລ້ວວ່າ ເຣື້ອງແບບນີ້ ອາດຈະເກີດຂື້ນ ກັບພວກເພີ່ນ ໃນມື້ນືຶ່ງ ແຕ່ບໍ່ຄິດວ່າ ຈະເກີດ ຂື້ນກັບບຸກຄົນ ທີ່ມີຊື່ສຽງ ຣະດັບສາກົນ ຢ່າງອ້າຍສົມບັດ. ວຽກງານທີ່ ທ່ານ ສົມບັດ ປະຕິບັດມານັ້ນ ກ່ຽວກັບ ການຊັກຊວນ ໃຫ້ປະຊາຊົນ ທ້ອງຖິ່ນໃນເຂດ ຊົນນະບົດ ຮູ້ເຖິງສິດທິ ໃນການພັທນາ ແລະ ການປົກປ້ອງ ຊຸມຊົນ ຂອງພວກຂະເຈົ້າ ຈາກການເອົາຣັດ ເອົາປຽບ ຂອງນັກລົງທຶນ ປະຊາຊົນ ສ່ວນໃຫຍ່ ກໍມີິຄວາມກ້າ ໃນການສະແດງອອກ ເຖິງສິດທິ ໃນການປ້ອງກັນ ຊັພຍາກອນ ທັມມະຊາດ ຫລາຍຂື້ນ ໃນຣະຍະ ຫລັງໆມານີ້ ຈື່ງເຮັດໃຫ້ ທາງການລາວ ບໍ່ພໍໃຈ ຈື່ງຕ້ອງກຳຈັດ ນັກພັທນາກອນ ທັງຫລາຍ ເພາະຖືວ່າ ເປັນອັນຕຣາຍ ຕໍ່ການຄວບຄຸມ ຂອງພັກຣັຖ ຈື່ງໃຊ້ພຶດຕິກັມ ແບບບໍ່ຊອບທັມ ໃນການກຳຈັດ ບຸກຄົນ ໃນກຸ່ມດ່ັງກ່າວ. ທ່ານສົມບັດ ສົມພອນ ຫາຍສາບສູນ ຕັ້ງແຕ່ ວັນທີ 15 ທັນວາ 2012 ເຖິງປັດຈຸບັນ ຍັງບໍ່ຮູ້ ຮ່ອງຮອຍ ຂອງທ່ານເລີຍ.